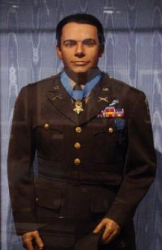 Colonel Jack LeMaster Treadwell was a U.S. Army officer and a recipient of the U.S. military's highest award for valor, the Medal of Honor, for his heroic actions during World War II. Jack LeMaster Treadwell was born on 31 March 1919 in Ashland, AL. He graduated from Snyder High School in Snyder, OK, in 1937 and attended Southwestern State College, Weatherford, OK, in 1937-38. 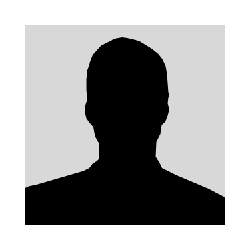 He is a graduate of the University of Omaha, Nebraska. 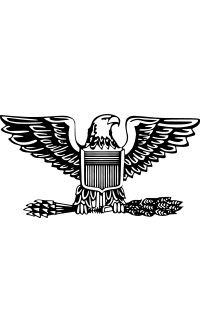 He joined the U.S. Army from Snyder, OK. By 18 March 1945, he was serving as a First Lieutenant Commanding Company F, 180th Infantry Regiment, 45th Infantry Division. During a battle that day near Nieder-Wurzbach in Germany, Treadwell single-handedly captured six German bunkers. He was subsequently promoted to Captain and awarded the Medal of Honor by President Harry S Truman on 23 August 1945. 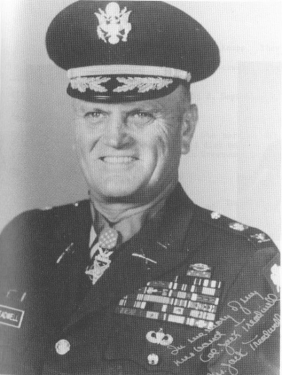 During the Vietnam War, COL Treadwell served as Chief of Staff of the Americal Division (1968-69) and Commander of the 11th Infantry Brigade (1969); he took part in the Tet counter-offensive. Treadwell ended his career in 1974 as Senior Advisor to the Army Reserve at Columbia, SC. Treadwell reached the rank of Colonel before leaving the Army. Rank and organization: Captain, U.S. Army, Company F, 180th Infantry, 45th Infantry Division. Place and date: Near Nieder-Wurzbach, Germany, 18 March 1945. Citation: Capt. Treadwell (then 1st Lt.), commanding officer of Company F, near Nieder-Wurzbach, Germany, in the Siegfried line, single-handedly captured 6 pillboxes and 18 prisoners. Murderous enemy automatic and rifle fire with intermittent artillery bombardments had pinned down his company for hours at the base of a hill defended by concrete fortifications and interlocking trenches. Eight men sent to attack a single point had all become casualties on the hare slope when Capt. Treadwell, armed with a submachinegun and hand grenades, went forward alone to clear the way for his stalled company. Over the terrain devoid of cover and swept by bullets, he fearlessly advanced, firing at the aperture of the nearest pillbox and, when within range, hurling grenades at it. He reached the pillbox, thrust the muzzle of his gun through the port, and drove 4 Germans out with their hands in the air. A fifth was found dead inside. Waving these prisoners back to the American line, he continued under terrible, concentrated fire to the next pillbox and took it in the same manner. In this fort he captured the commander of the hill defenses, whom he sent to the rear with the other prisoners. Never slackening his attack, he then ran across the crest of the hill to a third pillbox, traversing this distance in full view of hostile machine gunners and snipers. He was again successful in taking the enemy position. The Germans quickly fell prey to his further rushes on 3 more pillboxes in the confusion and havoc caused by his whirlwind assaults and capture of their commander. Inspired by the electrifying performance of their leader, the men of Company F stormed after him and overwhelmed resistance on the entire hill, driving a wedge into the Siegfried line and making it possible for their battalion to take its objective. By his courageous willingness to face nearly impossible odds and by his overwhelming one-man offensive, Capt. Treadwell reduced a heavily fortified, seemingly impregnable enemy sector. The President of the United States of America, authorized by Act of Congress July 9, 1918, takes pleasure in presenting the Distinguished Service Cross to Second Lieutenant (Infantry) Jack LeMaster Treadwell (ASN: 0-1703018), United States Army, for extraordinary heroism in connection with military operations against an armed enemy while serving with Company F, 180th Infantry Regiment, 45th Infantry Division, in action against enemy forces on 24 May 1944, near Carano, Italy. When an attack by a superior enemy force threatened the security of his company position, Lieutenant Treadwell, weapons platoon leader of a rifle company, promptly brought the fire of his weapons platoon to bear on the enemy. Small groups of enemy under cover of artillery and mortar fire had advanced to within fifty yards of the company position and were beginning to infiltrate through the lines. Lieutenant Treadwell, knowing that two of the rifle platoons were without officers, quickly reorganized them to meet each new thrust of the enemy. Working under heavy fire, Lieutenant Treadwell excellent leadership as he moved from squad to squad over a 400 yard front, controlling the defense of the positions. While directing friendly artillery and mortar fire during this engagement, Lieutenant Treadwell adjusted fire on the enemy positions extremely close to his observation post. Closing with the enemy in fierce hand-to-hand combat, Lieutenant Treadwell inspired his men to a vicious and successful defense of their positions. The President of the United States of America, authorized by Act of Congress July 9, 1918, takes pleasure in presenting the Silver Star to Captain (Infantry), [then First Lieutenant] Jack LeMaster Treadwell (ASN: 0-38163/38107224), United States Army, for gallantry in action while serving with Company F, 180th Infantry Regiment, 45th Infantry Division, in action against the enemy on 4 January 1945, near Wimmenan, France. A numerically superior enemy force in well-entrenched defensive positions, directed intense machine gun and rifle fire at Captain Treadwell's attacking company and stopped the advance. Moving through the heavy fire to the platoon which was bearing the brunt of the enemy pressure, Captain Treadwell found the platoon leader wounded and the platoon itself disorganized. Acting quickly to meet the situation, he regrouped the squads, called for close mortar and tank support, maneuvered his other platoons into positions, and then led his men in an aggressive assault up the enemy-held hill. Captain Treadwell so inspired his platoon by his own courage and daring, and so skillfully directed the fire of the supporting tank, that the enemy defenses were overrun with a minimum of casualties to his company, while fifty enemy soldiers were killed and fifty more captured. The President of the United States of America, authorized by Act of Congress, July 2, 1926, takes pleasure in presenting the Soldier's Medal to Colonel Jack LeMaster Treadwell (ASN: 0-38163/38107224), United States Army, for heroism not involving actual combat with an armed enemy in the Republic of Vietnam. Colonel Treadwell distinguished himself by valorous actions on 18 August 1969 while serving as Commander of the 11th Infantry Brigade. On that date, Colonel Treadwell was flying aboard his Command and Control Helicopter en route to Landing Zone BRONCO when he observed the lead vehicle in a friendly convoy detonate a large enemy mine. He immediately ordered his pilot to land near the truck and quickly ran to the site of the explosion. Upon arrival, Colonel Treadwell found that all three passengers in the truck had been thrown free by the blast. To complicate matters, the vehicle had been carrying a large amount of ammunition and a fire resulting from the explosion had caused numerous rounds to explode. With complete disregard for his personal safety, Colonel Treadwell ignored the extreme danger involved and rushed to assist the wounded crewmen. Although rounds from the burning truck continued to impact around him, Colonel Treadwell gallantly assisted in moving his wounded comrades to a waiting medevac helicopter. His courageous actions were instrumental in the swift extraction of the casualties and enabled them to be taken to a nearby medical facility to receive proper medical attention with minimal delay. Colonel Treadwell's personal heroism, unselfish concern for his fellow soldiers, and devotion to duty are in keeping with the highest traditions of the military service and reflect great credit upon himself, the Americal Division, and the United States Army. The President of the United States of America, authorized by Act of Congress, July 2, 1926, takes pleasure in presenting the Distinguished Flying Cross to Colonel Jack LeMaster Treadwell (ASN: 0-38163/38107224), United States Army, for heroism while participating in aerial flight as evidenced by voluntary actions above and beyond the call of duty in the Republic of Vietnam. Colonel Treadwell distinguished himself by exceptionally valorous actions on 4 June 1969 while serving as the Commanding Officer of the 11th Infantry Brigade, Americal Division. On that date, Colonel Treadwell was flying his Command and Control Helicopter south of Duc Pho in support of a combined infantry-cavalry force that was engaged with a North Vietnamese Army company. Upon being notified that his Battalion Commander's aircraft was running low on fuel, Colonel Treadwell ordered his to return to Landing Zone BRONCO and immediately assumed control of the operation. He then instructed his pilot to orbit over the battle site so that he could control the friendly elements and provide them with accurate information on the movement and location of the enemy. With this information, the cavalry-infantry unit was able to maneuver on the insurgents, forcing them to break contact and flee their positions. At this time, Colonel Treadwell spotted an estimated squad size hostile force moving toward a hedgerow. Realizing that if allowed to continue, the North Vietnamese Army soldiers could establish a strategic position and would be able to cover the withdrawal of the remainder of the company, Colonel Treadwell proceeded to the site. He then ordered his door gunners to engage the enemy, remaining in the area until his helicopter was severely damaged to a point that an emergency landing was imminent. With complete disregard for his personal safety, Colonel Treadwell refused to leave the area and continued to direct the ground units until they had the tactical situation under control. He then ordered his pilot to land on a nearby beach and informed the Battalion Commander of the existing situation. Colonel Treadwell's personal heroism, professional competence, and devotion to duty are in keeping with the highest traditions of the military service and reflect great credit upon himself, the Americal Division, and the United States Army. 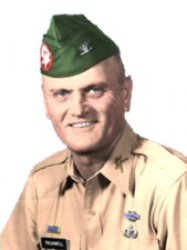 Colonel Jack L. Treadwell died at age 58 on 12 December 1977 following open-heart surgery. He is buried at the Fort Sill Post Cemetery near Lawton, OK.
Jack Treadwell died following open-heart surgery. When you read in the citations about his heroic actions and extreme efforts to save and protect those with whom he served, you just have to consider that possibly this man's heart was simply too 'big' for his body. May he rest in peace.